← MINICARS: Can you help us identify these Japanese race car toys? 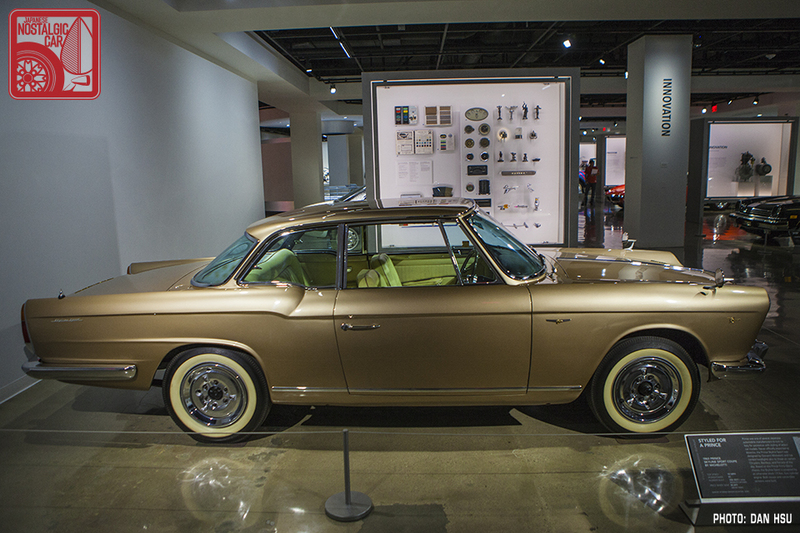 Perhaps it is only fitting that the Petersen Automotive Museum is now located in what was once the only Seibu department store in the US. 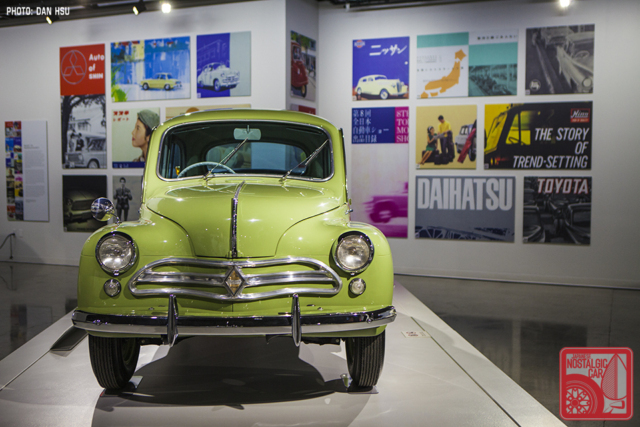 Where rows of Japanese home goods resided in 1962, today in 2018 stands this hemisphere’s most comprehensive museum exhibit celebrating the cars and car culture of Japan. The Petersen is located at the intersection of Fairfax and Wilshire, two of Los Angeles’s famed boulevards, bookending Museum Row on a tourism-heavy section called Miracle Mile. Only in LA could there be, located right next to the city’s two museums of art and the one with the dinosaur skeletons, a shrine to the automobile. 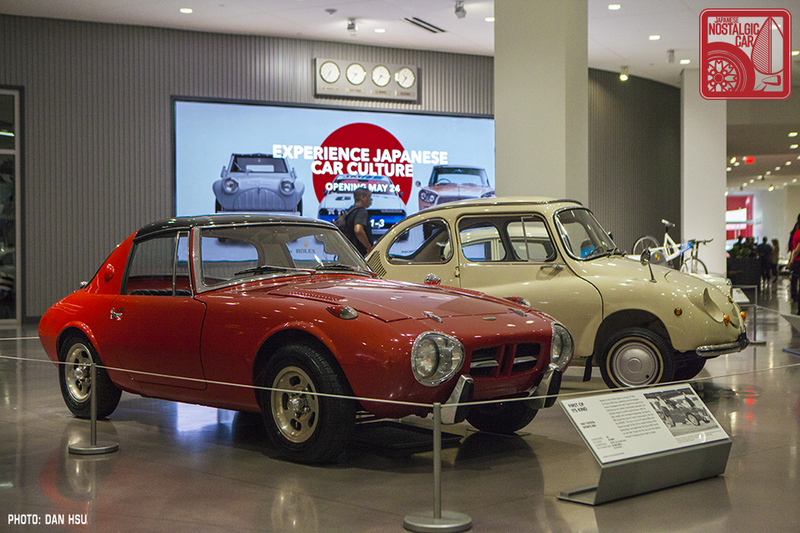 It’s quite a landmark moment, then, that the Petersen, famously staunch in its adherence to hot rods and European collector vehicles to the exclusion of all else, is launching an unprecedented exhibit about Japanese cars. It’s a move that even a few short years ago, when JNC appeared on the Petersen’s Car Stories podcast, was unthinkable. Flexing its considerable muscle, the Petersen has amassed over two dozen cars covering two themes. 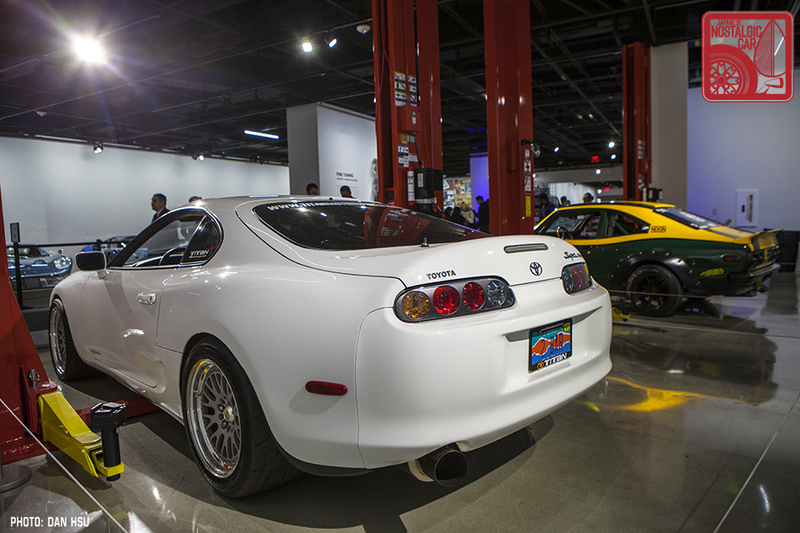 Many of the cars have never before been shown in the US, and arrive on loan from Toyota, Nissan, and Mitsubishi’s official museums in Japan. From Nissan’s Heritage Collection in the famed Zama warehouse comes cars like the 1937 Datsun Type 16 Coupe, 1963 Prince Skyline Sport and what we consider one of the stars of the show, one of the 600-horsepower, 6.0-liter V12-powered Nissan R382 race cars that swept all three podium spots at the 1969 Japan Grand Prix. From the Toyota Automobile Museum in Aichi Prefecture comes a cross-section of Japanese cars from the early post-war era, including a replica of Toyota’s first car, the 1936 Toyoda AA, a 1954 Suminoe Flying Feather, and 1955 Suzuki Suzulight. 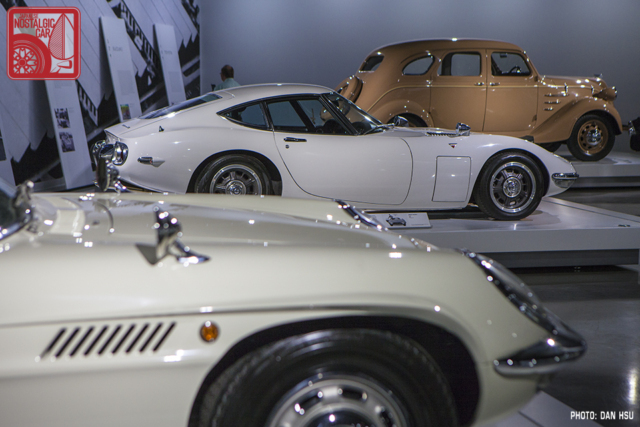 Like the Toyota Automobile Museum itself, the company’s collection is not limited to Toyotas. 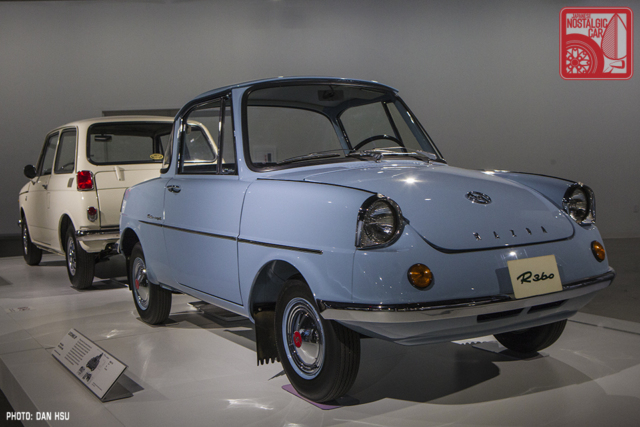 Even Mitsubishi brought an example of its first real passenger car, the 1960 Mitsubishi 500. 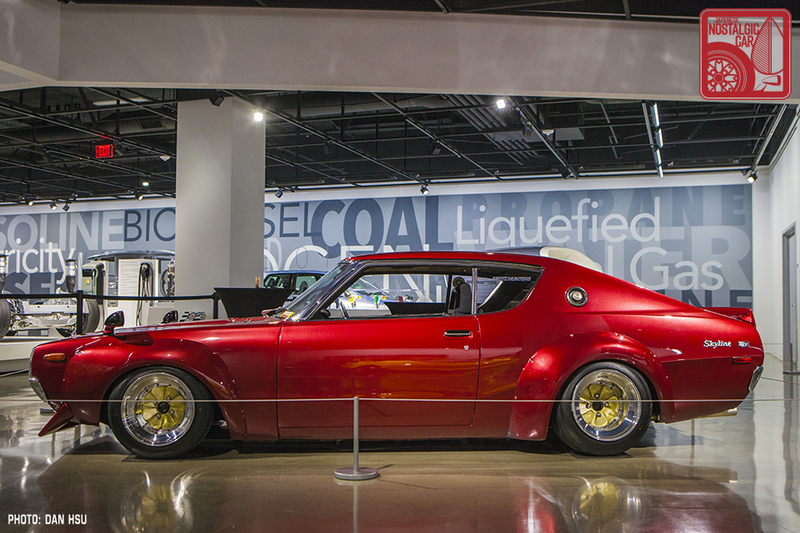 Other cars are on loan from museums in the US, like the Sports 800 and Honda S600 Coupe from our friends at the Lane Motor Museum in Nashville, Tennessee. It was truly a global effort to assemble these landmark cars. 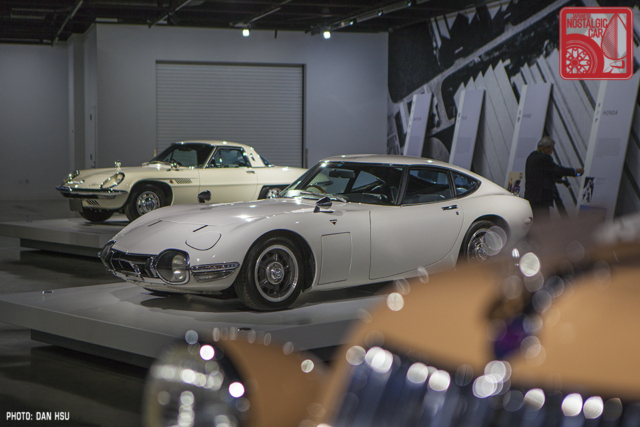 Add to these icons like the Toyota 2000GT from the collection of Brendan Gallaher and Michel Stern, the Mazda Cosmo Sport from the collection of Mike Malamut, and the Nissan Silvia CSP311 from the collection of our friend Myron Vernis, and the exhibit covers a broad spectrum of pre-1970 Japanese automotive history. 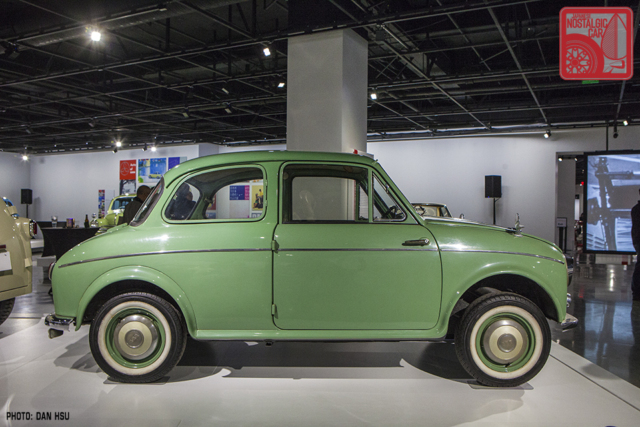 Together, the cars explore the exhibit’s theme of Monozukuri, the Creative Spirit in Japanese Automaking. Simply put, it’s an innate aspect of Japanese culture that traces back to feudal times, in which art and industry are seen as overlapping, not at odds. 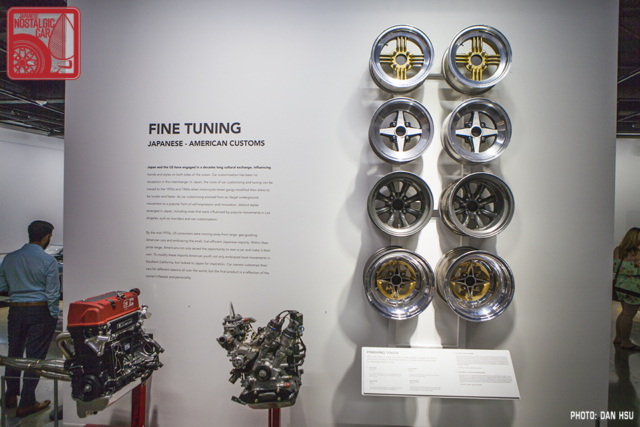 This unique view of society’s producers, the exhibit argues, is what gives Japanese cars a unique blend of creativity and craftsmanship that is unmatched in the automotive kingdom. Such open-minded perspectives are rare in the west when discussing Japanese cars. All too often lazy thinking defaults to describing them as an Asian version of X. Hopefully, by presenting Japanese cars in a more unorthodox light, it will offer new frames of reference for future stateside discussions of these wonderful machines. Of course, no display of Japanese cars would be complete without a dive into Japan’s rich car culture. As such, a second exhibit titled Fine Tuning seeks to cover the many facets and styles of customized J-tin. 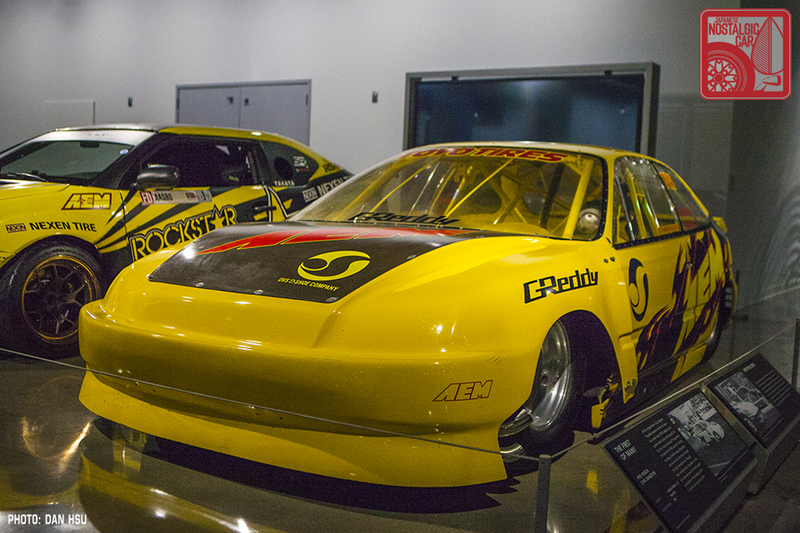 Here, Stephan Papadakis’ 1998 Honda Civic represents the heyday of import drag racing, while Titan Motorsports’ 1993 Toyota Supra embodies a high-power and high-tech street build during the height of the 90s Tuner Era, and Jonathan Wong’s 1990 Civic Si depicts the start of America’s obsession with “JDM” style. However, where the exhibit really deserves praise is in its embrace of Japanese customization styles that not too long ago would have been considered too outlandish with no place in a hall that once housed a 1946 Cisitalia 202 GT by Pininfarina. It’s true, the display includes bosozoku-inspired kaido racers like Daniel Pellegrino’s 1991 Toyota Cresta and our friend Patrick Soliman’s 1973 Kenmeri Skyline. 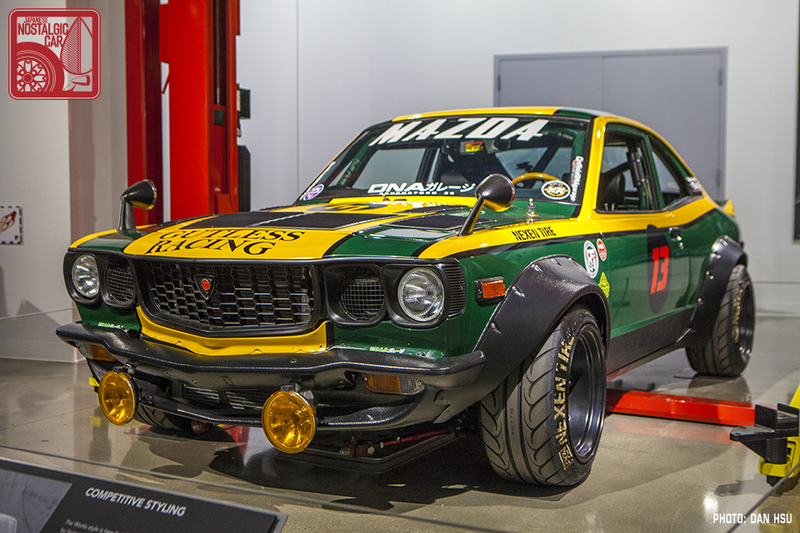 Having cars once associated with the outcasts of Japanese society lovingly posed in America’s most famous car museum — well, if that doesn’t speak to the arrival of Japanese cars, little else will. And now, for the better part of a year these specimens of Nihon steel will take center stage at America’s altar of the automobile. While not a comprehensive gathering of seminal cars, the Petersen has nevertheless managed to convene as good a sampling of rare and important Japanese automotive milestones as we’ve seen outside of Japan. 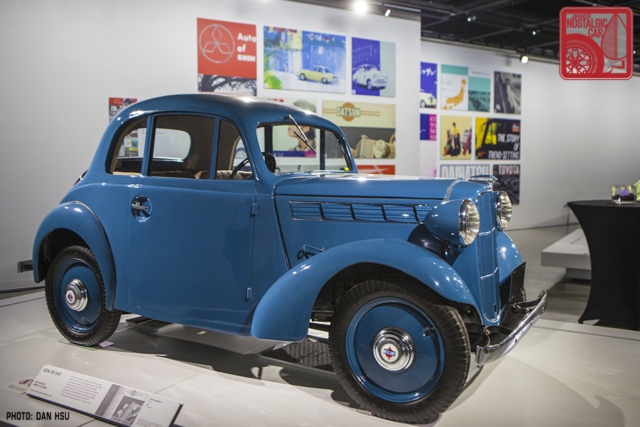 Monozukuri, the Creative Spirit in Japanese Automaking and Fine Tuning debuts at the Petersen Automotive Museum May 26, 2018 and runs through April 19, 2019. To receive a $5 discount on admission to the Petersen Automotive Museum, visit the website and use the coupon code JNCROOTS. tagged: 2000gt, A80, bosozoku, c110, civic, cosmo sport, cresta, csp311, datsun, Datsun Type 16, drag, ef, EK, Flying Feather, hino, honda, Honda N-Series, Honda S-Series, jimny, kaido racer, kenmeri, lj20, mazda, mitsubishi, Mitsubishi 500, n600, nissan skyline, Petersen Museum, prince, r382, rx-3, s600, silvia, skyline sport, supra, suzuki, Suzulight, toyoda aa, toyota, x80. I might just have to make a trip out to LA just to see these exhibits. Had a great time at the event last night and it was quite a treat to see these cars. This is fantastic. I was there for the first time only a few months ago and felt the bias of the exhibits. Great to see that they’re becoming more open minded. I also had no idea that Seibu used to be in that corner once upon a time. How Ben researched that history is beyond me. Hats off Ben. If you look at the Petersen’s elevator it’s still a 1960s Mitsubishi! Seriously?? That’s the original building?? That’s unbelievable. I did take the elevator but I thought that was a newly erected building. How long does that code last? A group of us from BC will be attending Toyotafest next weekend and plan to take this in. I think you can pre-purchase your tickets now. Toyota owns the Flying Feather? That’s sort of ironic since it was the brainchild of Mr. K! Nevertheless, great coverage on this cool new exhibition at the Petersen. 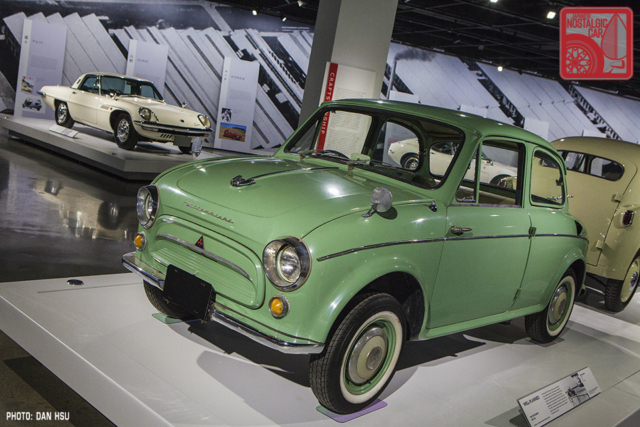 The Toyota Automobile Museum has cars from all manufacturers. It’s more about the history of the car than the history of the company itself, cause Toyota is cool like that. Just a note but there are several Flying Feathers still out there. Toyota owns at least two as the one in their museum was tan when i was last there and this one is on loan from them. 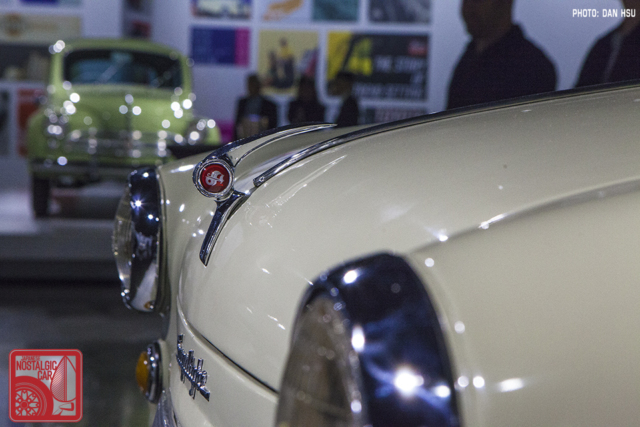 When the Saturn intro commercial was filmed, the Petersen museum was used to film it. On a raised platform was a light green 410 or 411. Was this a loner or has it just disappeared from the collection? Curious because after the commercial aired many people asked me if my RL411 was the car in the commercial. Diversity in exhibits is always a good thing, without a doubt. However, it must be remembered that Southern California was the epicenter of US car culture after WW2 and this included hot rods, custom cars and European imports. Japanese cars arrived after that. Perhaps the museum people feel that they are solid in addressing that car culture, so now they can move into other areas. Also know that I have owned a ‘72 Honda 600 Coupe, a ‘90 Nissan Maxima SE and a ‘94 Isuzu Trooper, all bought new, so what I said is not meant to be a negative reflection on Japanese vehicles. As the ex Nissan executive present for opening remarks there said, this is the FIRST time that an exhibit like this has been seen outside of Japan. That included with your remarks says that what you protest NOT saying is exactly what you meant. If not why didn’t you call them out for having an entire area only for Porsche, a single foreign marquee? You are mistaken. My point was to offer a plausible reason for how the chronology worked out. Do you agree or not with the timing that I stated? This exhibit was long overdue, as the first Japanese imports appeared at the Imported Car Show at the Shrine in 1958. And yet no pictures of the Honda S600, and only a partial of the N600. I’ve got some of most of the cars there I can post if the author didn’t get them. Interestingly there was a Z600 there as well, but in the parking garage because someone drove it there. 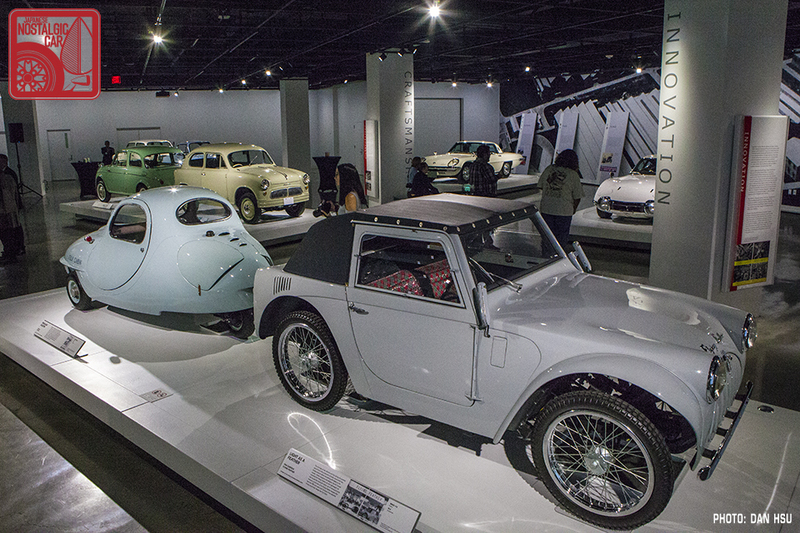 If we posted pics of every car, then people might not go to see the exhibits in person. The Hondas aren’t the only ones left out of this post. didnt have time to read the article. who curated this? 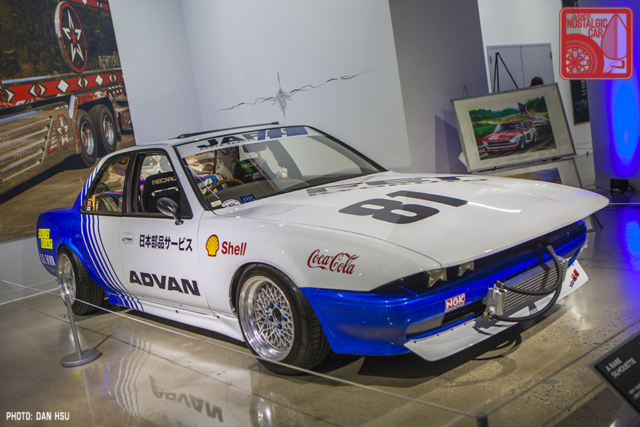 Nice to see these cars in the Petersen museum, when I was there last the only Nihon machine was a silver NSX. Very glad to see Japanese steel at the Petersen !! I got to go Saturday. It was *AMAZING. * I want a Flying Feather now very badly. And thanks to JNC for their coverage on this…I had originally scheduled to go on Thursday and would have missed it! No kidding on the Flying Feather. There is something about it that has me and a buddy sketching up ways to create an homage! First of its kind? Unprecedented? sorry but all those cars in that exhibit are easily found in the united states. 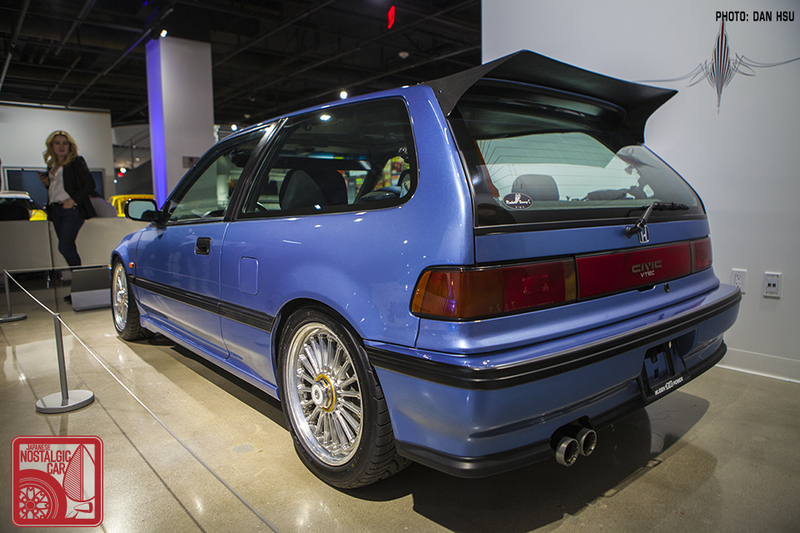 except maybe the 22b from subaru’s collection, multiple examples exist. 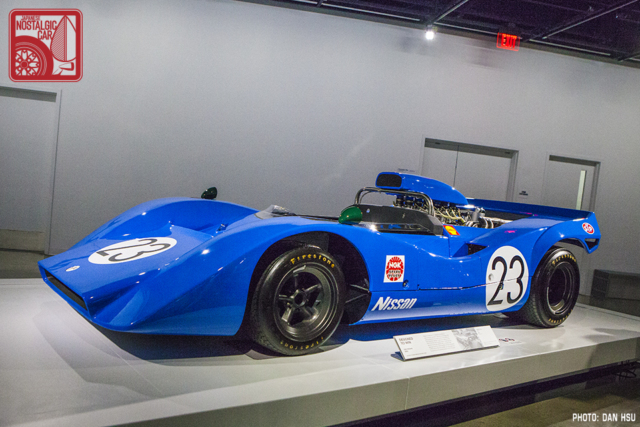 many of the cars at the petersen have never even set foot (tire?) here, and plus they had custom cars as well. this is not to say the cars are at the simeone are bad…. they are great examples of those models to be sure. 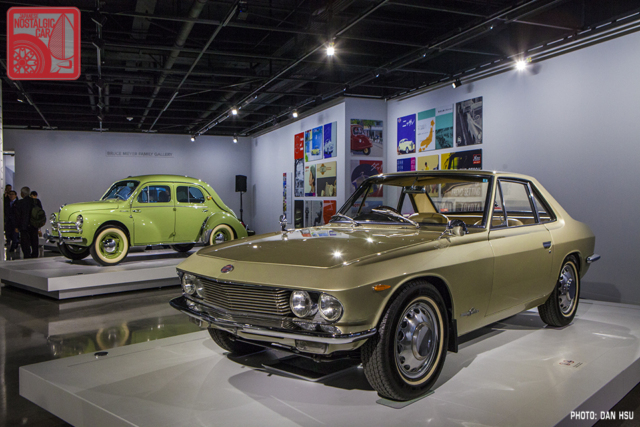 One (huge) difference: The Roots of Monozukuri features important Japanese cars from BEFORE 1970, and the Simeone exhibit (and the San Diego Automotive Museum exhibit you didn’t mention from 2017) only featured cars from after 1970.